Finding the best Sparks dentist may mean the difference between maintaining a flawless smile and struggling with chronic oral health concerns for a lifetime, at least according to some researchers. Dental patient polls indicate that those who develop positive relationships with the dentists and dentistry team members are much more likely to keep up with their regular preventive dental care and seek treatment right away for oral health concerns. At Vista Dental Care, we are dedicated to helping patients learn to love visiting the dentist. From your very first appointment in our state-of-the-art, modern Sparks dental office, you’ll find a dentistry practice home where you feel relaxed, welcome, and well cared for at every visit, but it’s important to us that each patient who chooses to trust our team with their oral health care needs know they made the best decision for their unique dental health care goals. On this page, you’ll find some guidance to help you choose the best Sparks dentist. If you have questions, concerns, or want to schedule a consultation visit with us in our state-of-the-art Sparks dental office, call us today. We look forward to helping you with all of your oral health and hygiene needs. Many people start their search for a new restaurant to visit or movie to see by reading reviews online, but we find that patients often don’t read reviews before visiting a new dentist or other medical professional. However, this is an excellent place to start your search for a new doctor. If you have friends, family, or coworkers who can provided reliable recommendations, this may be another great option to start a list of possible dental office homes that could meet your needs. Our Sparks dentist and team work hard to offer safe, effective dental care in a pain and stress free environment. Our kind, loyal patients often take the time to leave positive online reviews to tell us how much they enjoy visiting our team. Our staff loves receiving this feedback from patients, and we encourage you to read our patients’ reviews online to learn more about what you can expect in our office before visiting us. The way you’re treated may mean more than the qualification the dentist or dentistry team members have, but you still need to know that your dental team has the basic training and experience necessary to safely and effectively provide the dental care you need. In many cases, you’ll be able to find information about the dentist’s training, dental team member qualifications, and the practice’s treatment philosophy online. You can also call to talk to a member of the team before scheduling your visit. Many dental practices will also be happy to schedule a non-treatment consultation appointment, so you can get to know the dental practice before you start treatment. At Vista Dental Care, Dr. Marc Thomas puts his years of education and training to work creating a dentistry practice where patients feel safe, comfortable, and right at home. He earned his doctor of dental surgery from the University of the Pacific and went on to serve in the US Army Dental Corps. Since entering private practice, Dr. Thomas has provided a wide range of dentistry services to meet every patient’s dental need. In addition to Dr. Thomas, our entire dental team is made up of skilled, experienced dentistry professionals. In some large dental practices, you may see a revolving door of dental staff members. We opened the doors of Vista Dental Care in 2008, and many of our team members have been with us since day one. We work hard to create a patient experience that exceeds the highest expectations and keep patients smiling. 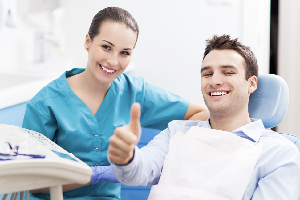 Before your first visit with any dental team, you should make sure that they offer the dental services you need. 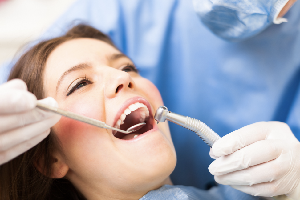 For the most part, dental offices provide many of the same preventive and restorative dentistry services. However, if you know there are specific treatments you’ll need, make sure that you ask before starting a dental care relationship. For example, patients with young children may want to choose a dental office where they can bring the whole family for treatment. Many patients avoid visiting the dentist because they’re worried about unexpected costs associated with their dental care. That’s why it’s so important to find a dental office where you feel comfortable communicating and asking questions about the cost of treatment, dental insurance coverage, and financing options. At Vista Dental Care, we offer new patients a wide range of payment, insurance, and financing options. We are happy to process and file dental insurance claims, and we are in-network for many major PPO plans. Our practice also offers an in-house savings plan for those patients who don’t have traditional dental insurance. We frequently work with Lending Club and CareCredit to provide low and no interest payment plans for qualified patients.